The Clover Leaf cocktail is an old school style drink that blends gin with egg white, lime and grenadine. If you don’t want to use raw egg white, an egg substitute will work just fine. The flavor in this drink is refreshing and citrus with a hint of cherry. The egg white adds a creamy, frothy texture that makes the whole drink even more interesting. It’s a wonderful afternoon drink for recharging your batteries before the evening. This drink is a twist on the pre-Prohibition cocktail, the Clover Club. The difference is lime juice versus lemon juice. Lime would have been harder to keep in stock in those days, but it adds something wonderful to the taste of cocktails like this one. 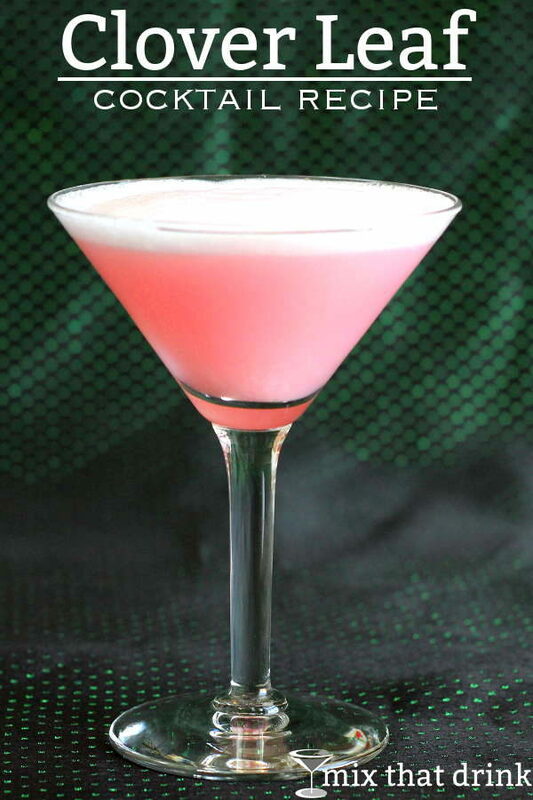 The Pink Lady is another variation, which adds applejack to the mix. The White Lady, on the other hand, loses the grenadine and the lime juice and replaces both with Cointreau for a nice orange flavor. There are some variations on this one. Some use the same ingredients, but call for differing amounts. Others replace some of the lemon juice or grenadine with dry vermouth. Some versions use lime juice instead of lemon. That’s actually the variation I was trying out in the above photos, which is why I garnished it with lime instead of mint. You can pair this drink with any food that involves lemon and doesn’t clash with berry. This One Skillet Chicken with Lemon Garlic Cream Sauce from Little Spice Jar will bring out the citrus notes. 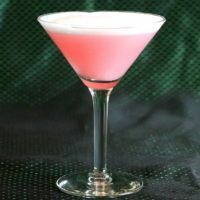 The Clover Leaf cocktail recipe is a very old classic that blends gin with egg white, lime and grenadine. The flavor of this drink is refreshing citrus with a hint of cherry. The egg white adds a creamy, silky texture. This is an old favorite of mine. Love the egg white.